"It was an emergency my furnace went out and I was unsure who to call. Glad I called them. I will definitely continue doing business with them." Cliff’s is here to serve your heating, air conditioning and standby power needs. Cliff’s Heating, Refrigeration, & A/C, Inc.
Tuesday – 8:00 a.m. – 4:00 p.m.
Wednesday – 8:00 a.m. – 4:00 p.m.
Thursday – 8:00 a.m. – 4:00 p.m.
Friday – 8:00 a.m. – 4:00 p.m.
"The service has always been excellent and very responsive. 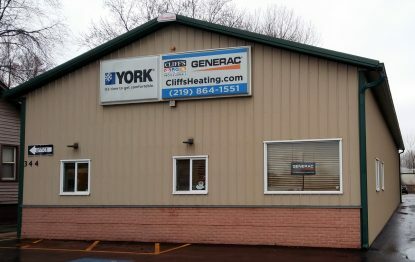 We are very pleased and have recommended Cliff's to anyone looking for a furnace or air conditioner."